Aqua Research LLC develops innovative water treatment technologies that meet the extreme needs within developing countries and provides sustainable water purification to outdoor enthusiasts, travelers, emergency preppers, first responders, Peace Corps, and the military. Aqua Research also provides consulting services for innovative state-of-the-art technologies. For these consulting services, we collaborate with other water technology partners as appropriate to ensure that client’s needs are met. Our expertise primarily resides in electrolytic technologies that produce disinfectants from common salt to a variety of water filtration technologies. 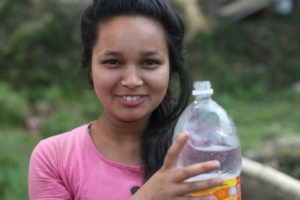 As a company driven by a passion to provide a sustainable water treatment solution to those who need it most, Aqua Research, LLC set out to create the world’s best personal water purifier – the smallest, easiest, and most cost-effective water treatment solution for developing countries. The H2gO Purifier will treat about 40 liters (10 gallons) of water per day with only one battery charge per week, for a YEARLY cost of 50 cents for salt. Our initial product, the H2gO Purifier has unmatched capabilities in a compact, lightweight package. In keeping with our mission to provide the means for clean, safe drinking water, we continue to develop water purification products to benefit both developed and developing nations. H2gO is a truly sustainable option for emerging countries, offering no maintenance cost or resupply logistics. The purifier costs $0.50 per YEAR for salt to operate and provide a family 40 liters (10 gallons) of safe water per DAY. It uses a rechargeable cell phone type battery for power and can be recharged by the onboard solar panel or micro USB port – re-charged by just about any cell phone charger, but comes with its own charger. The device is available via retail outlets for about $120 but we discount to qualified non-government organizations (NGOs) to less than $50. We continue to work on commercializing electrolytic devices that are simpler and lower cost so that can be deployed in the lowest economic settings. Our STREAM system is designed to treat up to 240,000 liters (60,000 gallons per day) for hospitals, orphanages, schools, and small communities in both normal and disaster settings. The STREAM operates on a variety of power sources including 110/220 VAC, and 12 volts DC from a car battery or solar panel. The unit is very robust and comes in a hard plastic waterproof case about the size of a briefcase. 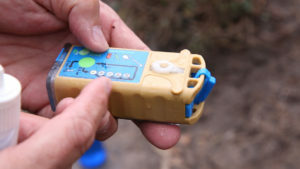 Videos of the device are shown on our videos page. Household water disinfection is the best way to reduce diarrhea and can pay back up to $60 for every $1 invested. Access to safe drinking water and sanitation worldwide would save health agencies $14 billion per year and individuals $680 million. There would be 640 million more productive working days per year, 544 million more school attendance days, and 3 billion more healthy days for children under 5, together representing productivity gains of $19.8 billion a year. 1“Water: Our Thirsty World,” National Geographic, April 2010. 2“For Want of a Drink: A special report on water,” The Economist, May 22, 2010. 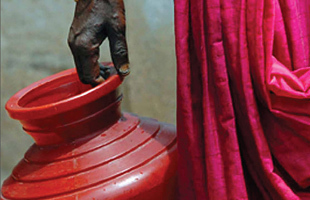 4 “Water for Life – Making It Happen,” WHO and UNICEF, 2005.